Last edited by IBMMuseum; 09-11-2011 at 10:22 PM.. 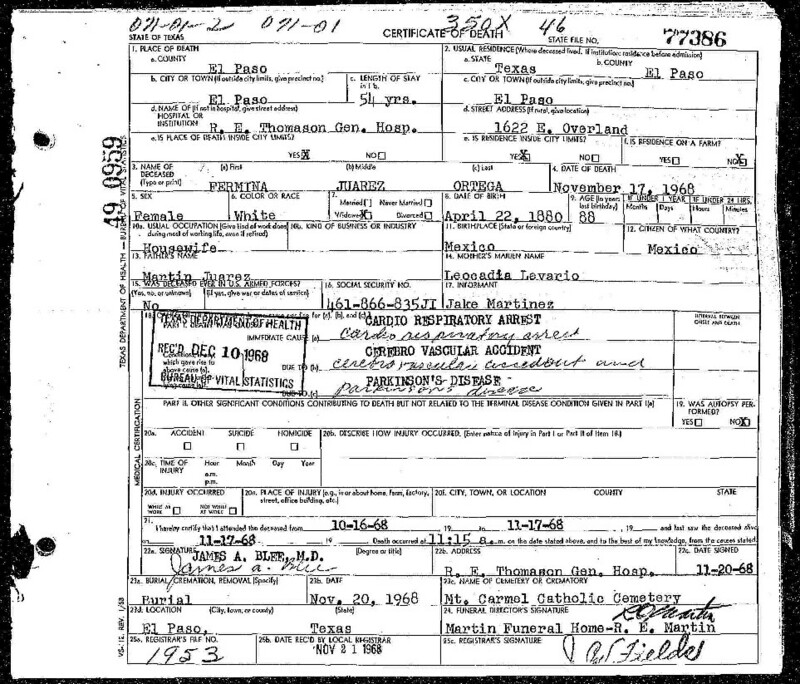 I just noticed in addition to not intending to become a U.S, citizen, he also marked that he didn´t intend to return to Mexico after ¨laboring temporarily¨ in the United States. Daily visits? 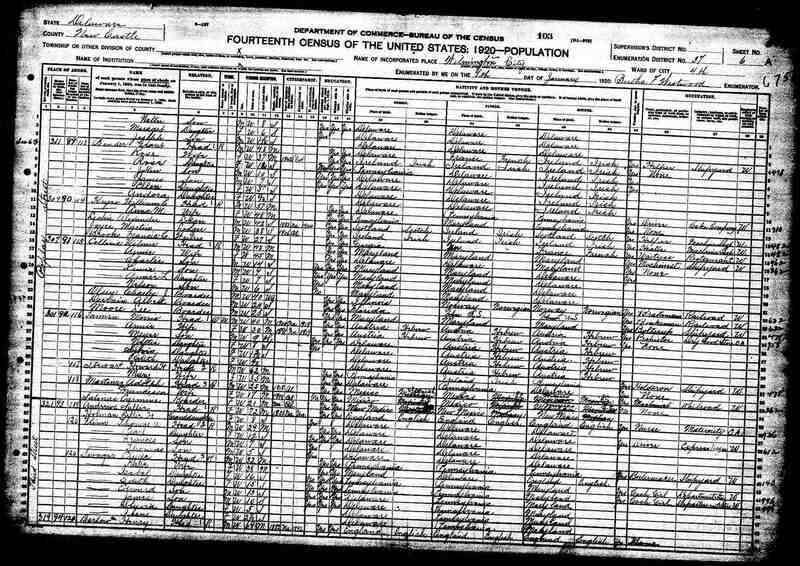 He goes to work in the U.S. soon afterwards, scoping out Delaware for later ¨invasion¨, I mean immigration. 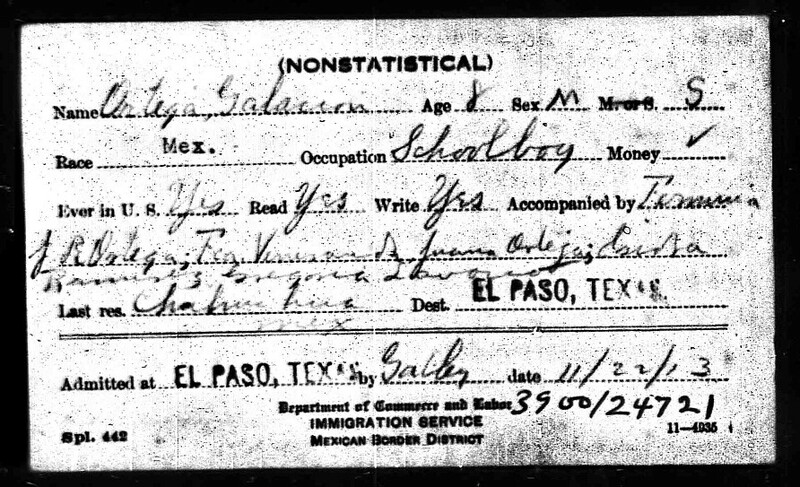 Adolfo isn´t there at Census time in 1910, but he has many crossing cards and manifest over the years. 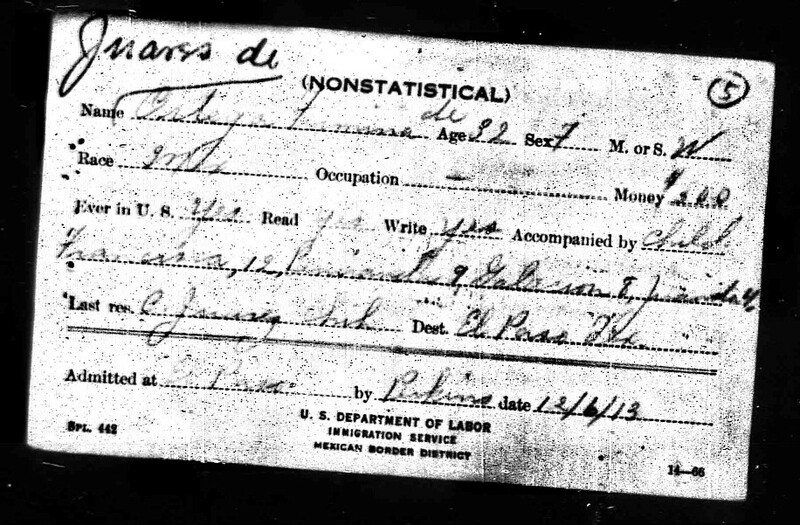 He certainly wasn´t in any unallowed immigration status at that time. 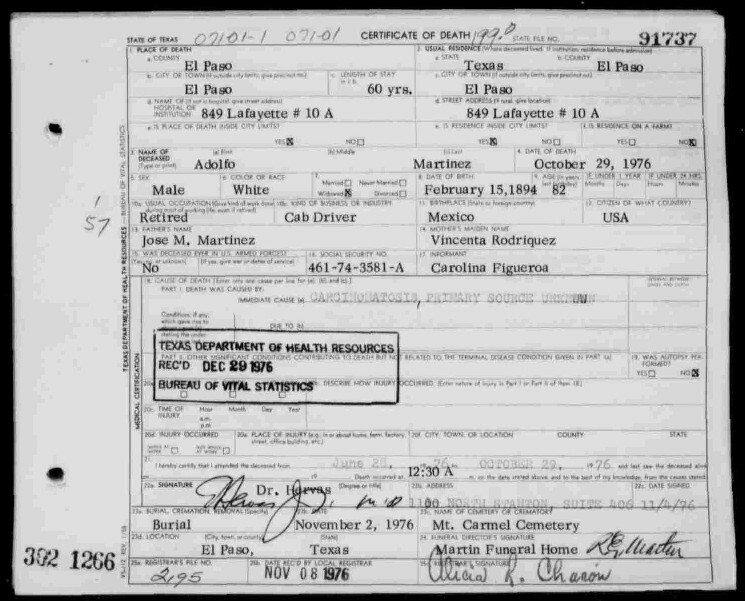 I haven´t found any naturalization documents for Adolfo, as I did for Luis (the only other sibling that stayed in the United States), but it doesn´t mean it isn´t out there. 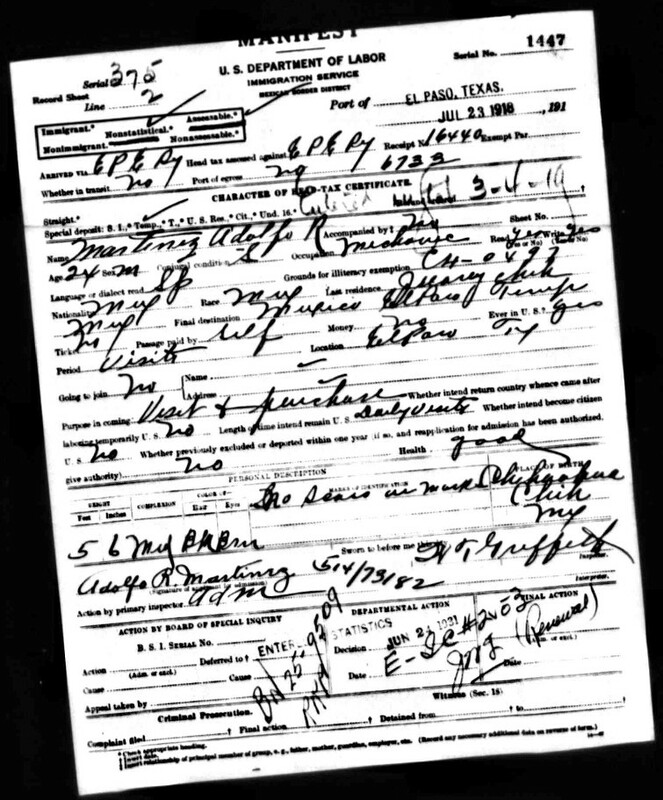 If he still hadn´t naturalized by 1940, he would have had to register as an alien. Failure to do that would make him out-of-status, but I don´t it would be practical for his job at that time, as a taxi driver. Most likely he would have even taken fares across the border each way. 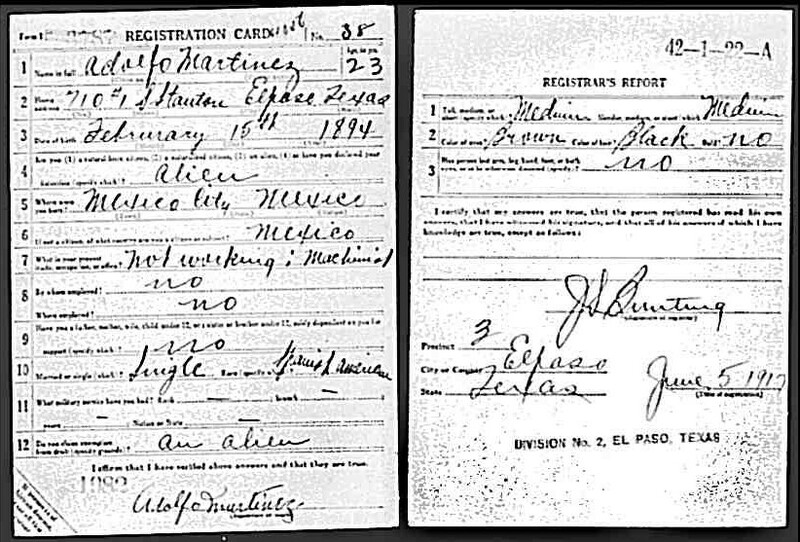 He did remarry after Francisca Ortega Martinez (Governor Martinez´s paternal Grandmother) died in 1934, and they had a half-sister (that married, and remained in the United States) of Jake, Governor Martinez´s father. 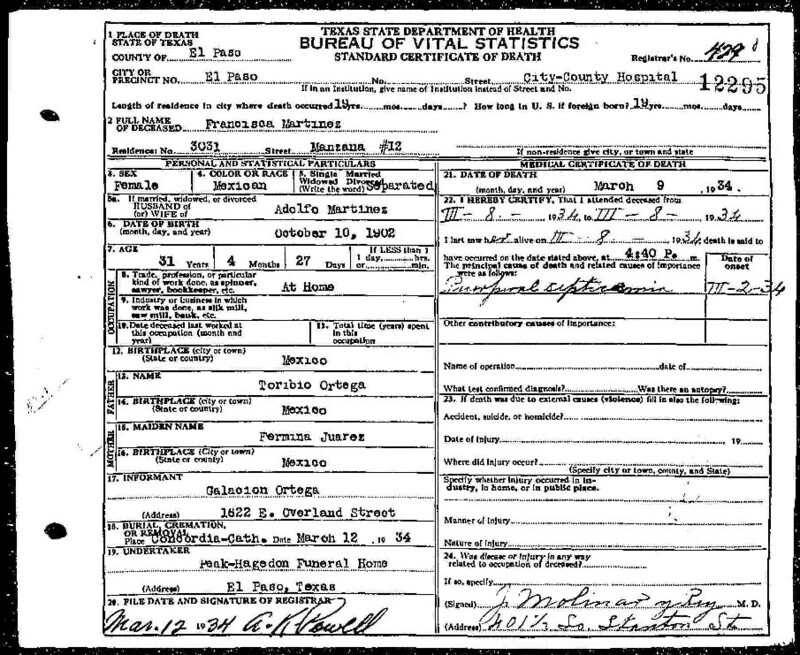 The family history I have related here also would make it quite rare that Governor Martinez has anyone as close as Second Cousins in Mexico. 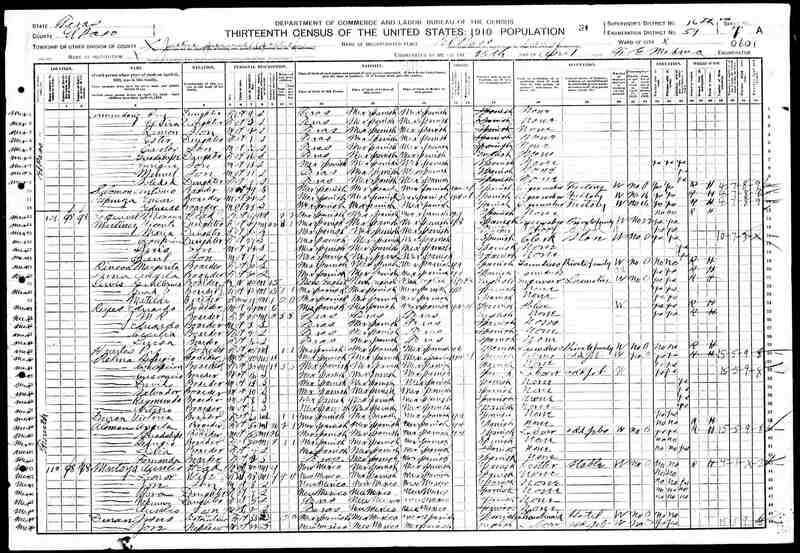 Since the siblings of Adolfo that moved back didn´t seemingly have very children, that portion of the line could have died out there. Maybe that could be a relief to her, as it lessens any relatives, like Obama had, of being illegal aliens now.